There is no one on the planet who would not say that your health is your greatest asset. Mind you when you are in your teens and early 20s you think that by the time you are ready to die there is probably going to be a cure for death. In the meantime, you drink too much, experiment with all sorts of things and do risky and some would say stupid things (I may be just talking about myself here), and health really is a low priority – as long as we look good in that dress, then all is good. But it is when you get a health scare or take time to dig a bit deeper into your health that you start to realise how much better you can feel physically and emotionally when you are in great health. When we think health, we often think about food and exercise, but we forget the third thing which is the soul. There is a calmness that comes with being mindful, being able to relax and being able to manage stress. This part of your health dictates how you act, think and feel just as much as food and exercise. We go through life and look for the magic bullet that suits us. Mine was yoga. I tried the gym version of yoga and it really felt like another exercise then I discovered Ashtanga and with some great teachers suddenly this weird mystic thing people were talking about called yoga started to make sense. But let’s rewind 8 years: I was 7 years into running my business and the reality is that to create a successful business, something had to give. For the business to grow and stay alive, the business had to be my number one priority. That is why naivety was a great asset. I am not sure how many people would start the journey if they knew the challenges of the path. I started Boost thinking it would be a great way to have life balance, be a mum and have the flexibility to work my own hours – and those hours were going to be part time with, of course, Fridays off. The reality was that it was 14-hour days, seven days a week, and the hours that I was not actually working, I was thinking about the business. But despite that grim picture above, I discovered that I loved the journey that I was on and it became an obsession. I had no idea the buzz I would have get from the thrill of growing a business; the challenges, the massive highs and the equally devastating lows that come with this journey. Previously, I was the executive wife and played my supportive role well but to create my own journey was something else. Changing from that supportive executive wife of a partner who was a powerhouse in radio had its challenges but the mutual respect that we developed over the years by working side by side enabled us to evolve as people, which has helped create a true love story. The early years were insane, with three little children at home and building a national chain with no business experience has it challenges to say the least! But with one foot in front of the other we worked through all the challenges that we faced every day. 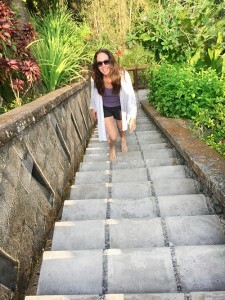 There were times when I felt that I was smashed against a wall and I had nothing left in the tank, and Jeff (husband) and I would head off to a health retreat for 5 days for a recharge, and off we would go again. So it was 8 years into this business journey that I discovered Ashtanga Yoga. To be honest it really started as me wanting to get some sort of balance in my life and to grab a coffee with a girlfriend after the yoga class. My friend asked me to join as they were looking for numbers to make it worthwhile for the teacher to make the trek from Carlton to Brighton to do the class. So I rocked up at this little church and it was freezing, there were little blow heaters in the corner and you could not take off a layer of clothing or you would be shivering with hypothermia. The teacher was called Amanda, a tiny, pretty little American women who at first look, seemed fierce and serious. We were told the rules: no talking in class; it is all about the breath; you cannot do a pose unless you were given it by her. The class began and we were told to stand the front of the matt and she asked us to put our palms in pray position and she starting to speak some weird foreign language. In my head, I was thinking you have got to be kidding, any minute now there is going to be a beheading of a chook. (Discovered later that the opening prayer was really about gratitude and there was nothing religious or weird about it at all. In fact, all the prayers and chanting are all based on goodness, and I sing them now loud and proud). I was here really for the social coffee after that class, what have I got myself into? Everyone knew the routine and off they went, she asked me to lay on my stomach as she was going to teach me to breathe. I figured that, due to the fact that I was alive, I think I had this breathing thing down pat, but like an obedient student, I laid down put my hands on my stomach and followed her instructions. Once she was satisfied I had the breathing correct we starting doing Surya Namaskara A and B (Solute to the sun). “How hard can this be,” I thought. It is touching the ground, stepping back, a simple upward movement, and then back you go to look at your toes. She then counted to five, which was the slowest five count on the planet, after one, my arms were shaking and I was thinking, “How can this be this hard!” OK, I could not touch my knees let alone my toes. We moved into the B pose which was again, easy, I thought. You just simply step each leg in between each – up and down, nothing too energetic. But after two I had started taking all my layers off, was red-faced and I thought my heart was about to pop out of my chest. After an OOOMMM to conclude the class I was not sure if this was for me. However the coffee at the café and the relaxing chatter of my new friends was a nice change from the stresses of decision making at work. I starting going twice a week and discovered that my body was as flexible as an iron rod. I could not sit crossed-legged, I could not touch my toes nor would my spine move even a bit in any direction other than straight. BUT there was something in this Yoga thing. The first thing was the teacher. She was passionate about the practise, she had a gentle energy, even if she was strict and sometimes stern. She was the real deal. She lived and breathed her practice. For her to even become a teacher, it was years of training, and even then she still had to visit the home place of Ashtanga Yoga, Mysore in India, on a regular basis to be approved as an Ashtanga teacher. She had great care factor and had a true love for teaching. It is easy to get passionate about someone when the person leading the charge is also passionate. Twice a week went to five times a week. I was starting to see some movement in my body and my competitive nature started to come to the fore. I wanted those poses. I wanted to be better. I wanted to learn more. I wanted to understand why I felt so great after the practice. So the journey began. Amanda’s teacher is Dena Kingsberg. Dena has been studying and practicing traditional Ashtanga yoga for over 30 years. She was one of Sri K.Pattabhi Jois’s most advanced female students. 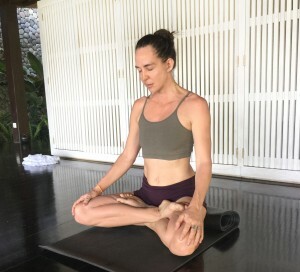 Amanda mentioned that Dena was having a yoga retreat in Bali and that it would be a great experience for us to get to understand the lineage of this practise. So with 9 months of yoga under my belt I headed off to my first ever Yoga retreat. My ego got me addicted to the practice. I loved the method and the repetitiveness of the practise. I saw amazing results in my body. I lost 8 kilos. All my cellulite vanished. I stood straighter and even today I have never had a stronger body. But there was a bonus to the practise that I did not expect. I actually started to become a better person. I was calmer and happier. The practice was transformative for me, not only physically but also mentally. So here I am again, sitting on the plane on my way to my 7th consecutive yoga retreat with Dena. I am no longer the pleb of the class but certainly miles away for the best, and funnily enough I am OK with that. The precise nature of yoga long ago managed to mostly remove the ego from my practise through injuries from pushing myself too hard and the difficulty of some of the poses that you try day after day and still do not seem to be moving forward. This yoga also gives you gifts, or progression in other areas, as well as endorphins that are created from doing the practise that helps you smile for the rest of the day. It is the most holistic thing that I have ever done. We arrive into Uma, a beautiful natural looking hotel. This is my 7th time here and it does feel like I am coming home. Each year we book straight after the retreat to lock in for the next year, which is a good thing, as life gets in the way and there are a million reasons why you have not got time to go to Bali for a yoga retreat. As mentioned, my teacher Dena, in my opinion, is the best in her field. She is tough but gentle, compassionate, but does not tolerate fools. Her knowledge is second to none. She has an energy and intuition that is unique and is someone who is wise beyond her years. As mentioned earlier, the practise is called Ashtanga. It is funny that some men think that yoga is a girl thing, as women were never allowed to do the practise 30 years ago. It was women like Dena who smashed the rules on what women should and could do. It would surprise some people to know that I am actually quite shy and I am uncomfortable meeting new people. Luckily there are five other people who were here last year, so I immediately feel comfortable and genuinely happy to see them. What I love about these retreats is that everyone is in their yoga gear so you have no idea what people do, so there is no judging. Our group range in age from 20-80, are from 5 different countries and from various skills and levels, and there is a comradery that is immediately apparent in the group. You discover over the week that there are successful business owners, stay-at-home mums, yoga teachers, Buddhists, retirees and students, so the conversations are interesting and informative. This retreat is normally a retreat I do with my girlfriends but for many reasons, my girlfriends were not able to go so I dragged along my husband. He started yoga a couple of years ago, after years of nagging from me. He saw the transformation in my mind and body and gave it a go. Like, me he could not touch his toes and does not find the practise easy but loves how it makes him feel. Life is busy for us at home, as we never sit for very long, so this was a great opportunity for us to just be. We try as a couple to go away, just the two of us, every year, and I have to say that away from the hustle and bustle of life, he loves me just that little bit more. This is our first day of being on the mat. Isn’t funny when you are trying to impress someone (ie your teacher who only sees you once a year) that you try so much more, you hold those poses a little longer than you normally do when it is only your dog that is watching you, and you do the tricky poses to show her how much you have improved… Does not sound very yogi does it?…. Well, the spiritual, non-ego side does get a look in, but the ego has a way of pushing everyone of out the way and say ‘look at me’. So needless to say, every muscle in my body is aching and I can barely walk and we are only day two. Luckily, for a mere $20 I can get a 2 hour massage and body scrub across the road. That may just get me through. It also does not help that our seriously beautiful pool villa room has only 108 stairs to get to it. I am sure if nothing else I will have buns of steel from just getting to and from my room. 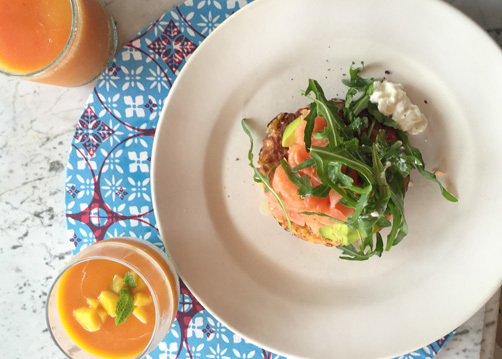 Back in Melbourne, life does get busy and your mind will tell you all the reasons why you should not do the yoga practice, as there are far more important things to do, like stack the dishwasher or there is always grocery shopping. These retreats are a reminder to not only look after your body but to slow the mind down to allow you to just think. Think about what you want in life, think about your kids, your husband and how can we make our lives better. Better does not mean more money, but it does mean ways of enjoying the life we have, and enjoying the people who are in it. Omg woke up this morning and could really feel every muscle in my body. This was actually a surprise, as I do yoga fairly regularly, so I did not expect to feel like a 100-year-old woman. We go into the Shala (yoga studio), which I have to say is the most beautiful yoga studio I have ever seen. With a cool breeze and the view of the green lush valley below you already start to feel relaxed. You get there 15 min early to get your spot and you lay on your back wondering when Dena comes in whether you will actually be able to get up. We sit in crossed legs and we go through our breathing techniques. Over the years I have learned the importance of the breath in concentration and in conjunction with the yoga practice. The workshop the night before was about alignment and the importance of this on our body, so in the morning class this theory was put into practise. We do one solute to the sun, which ended in a high blank with our arms straight. While we are in the position Dena mentions the importance of alignment. As she instructs our body to be completely straight, my arms are starting to tremble and she starts to count. It is only by sheer will and determination that I do not collapse on the floor with a large groan. We do this 5 more times and this is just the warm up to the practise itself – and then off we go. One thing you find with yoga is that it is not just an exercise. You discover that the body and the emotions are one and often for me, when I am doing an extreme hip opening or back bends, waves of emotion can come to the surface, and today’s was one of those. Now I admit, in the past I have done backbends and have been left in a dribbling mess – not the cool business like manner that people would expect. So I was mindful of this when I could feel the emotions starting to crack through that open heart. Luckily for me it was a single tear and then I moved on. I love the feeling of my body working and the tired feeling of the muscles. This is a very sweet practise and I am thrilled that I found a teacher like Dena to help me through my yoga journey. Ok let’s talk food. Now I am not really a Foodie, more of a Juicie (if there is such a thing). One of the most wonderful things about Bali is the flavour of the raw ingredients so the juicers and food taste amazing. When you want a coconut water they give you a whole coconut with a straw. Breakfasts were egg white omelettes or corn fritters (pictured), dinner was a delicious zucchini parcel (pictured) filled with quinoa vegetables with red bean and a leek sauce. It was amazing and food that the body loves you for. I finish the night with a delicious ginger and lemongrass drink. I never realised these combined so beautifully. Watch this space at boost :). We get so caught up on calories, sugars, diets etc. that we forget that it is not complicated, you just need to eat as natural as possible. Totally into the rhythm of the retreat, we have finally moved into not feeling guilty about sitting around but are relishing moments of just sitting around, chatting or swimming. I am not a book reader, I am a mover on holidays, so I am learning to love just being. The routine is simply, get up at 6, have a cuppa tea, get to the studio and do yoga for two hours, have an amazing breakfast with the group and then head to the pool, fill the next couple of hours and then back on the mat for the afternoon sessions. Dena is extremely skilled and knowledgeable and every day she throws diamonds of knowledge on the ground for you to pick up what you need. This is the final day and we are returning to Melbourne. This practise is not for everyone, Elite sporting clubs are discovering the benefits of yoga and studios are popping up everywhere, with the Western Style of yoga. If you want to know more, there are thousands of articles on the web on Ashtanga Yoga and this type is the inspiration for many western versions. Find the type of practise that suits you. There are many versions. I would be recommending that you try and stick with the more traditional Indian practises as your core practise and subsidise your practise with your local yoga studio. Be responsible for you own body. We have a tendency to try and keep up with the person beside us but our bodies are so unique, you need to respect what your body is telling you. If you say that you cannot do Yoga because you cannot touch your toes, then start yoga as you need it! Find a friend to start with as you will find you will go more often.